SERVICE UPDATE - Apologies but due to severe weather conditions the following M&H Coaches services will not be running tomorrow (03/03/2018). Service 76, Service 66, Service 43 and Service 21. Service 45 will be running Rhyl to Glan Clwyd Hospital via Kimmel Bay. Cader Avenue, Clwyd Park and Chester Avenue may not receive service if the driver deems the roads unsuitable. Passengers are asked to meet the bus on St Asaph Avenue. Thank you. 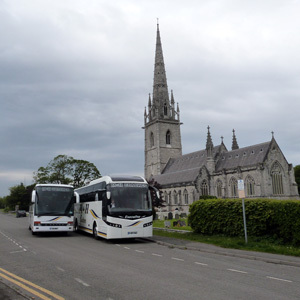 M & H Coaches, offers reliable local bus services. Find your route and click the Service timetable for detailed information. We would appreciate your feedback on Service 1/X1/2 Please fill in a travel survey! Copyright © 2017. M & H Coaches LTD All Rights Reserved.